KAOS is the new name in Las Vegas, and it’s already shaping up to be quite the stir, with artists like Deadmau5, Eric Prydz Armin van Buuren, Marhsmello, Skrillex, Kaskade, and Cardi B amongst the several artists who will be performing in the Palms night and dayclub. 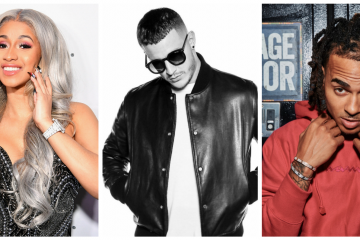 Today, they announced three new performers to even out the Hip-Hop and EDM lineups: J Balvin, Bad Bunny, & Ozuna will all be joining the residents in Late April, with J Balvin hitting a special early preview on April 6th. We’re really pumped to see this club bring Reggaeton to Las Vegas, and especially excited to see all the ravers hitting it up for EDC Week 2019. You can check out the full lineup below and let us know who you’re excited to see on Twitter @GlobalDanceElec. See a full list of KAOS dates from the newly announced performers below.